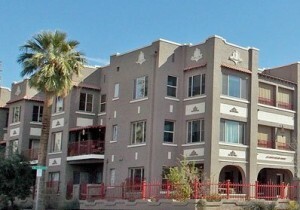 Lofts at Fillmore is a Downtown Phoenix loft condominium located at 387 N 2nd Avenue, Phoenix, Arizona 85003, built in 1916 and converted to condos in early 2000. Amenities Include: Hardwood Floors or Exposed Concrete, Private Parking, Private Laundry. Select units have patios and/or basements. Lofts at Fillmore is located in Downtown Phoenix in close proximity to the Valley Metro Light Rail, ASU Downtown, shopping, dining, sports and entertainment.